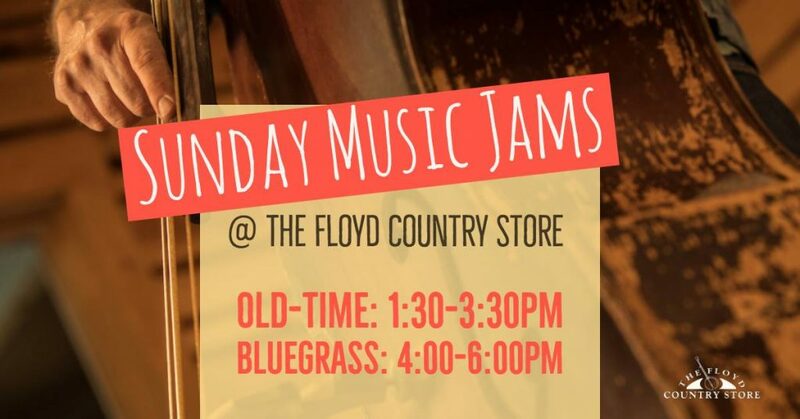 The Floyd Country Store has become a traditional gathering place on Friday nights for musicians, dancers, and visitors from all over the world. 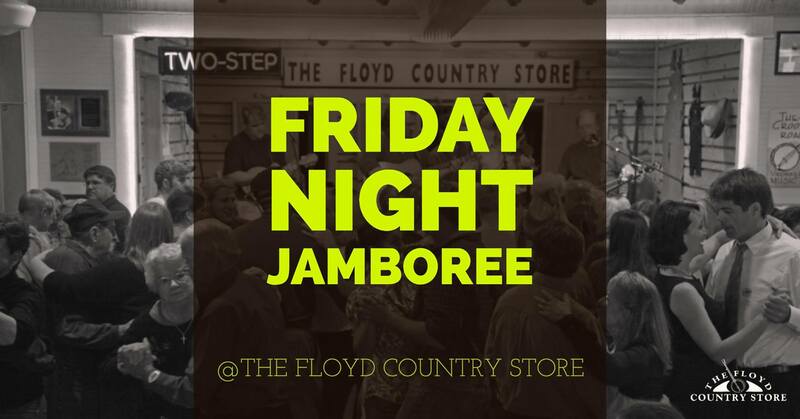 The Friday Night Jamboree is an outstanding and authentic experience shared by old-timers and new visitors alike. Many of those who attend the Jamboree are regulars, and for them, the Jamboree is a place to see old friends week after week. But the Jamboree also gets visitors every week from all across the country, and very frequently from around the world. At the Jamboree, we’re all very proud of and grateful to the musicians who bring their instruments and their talent to the store every week. The show starts every Friday at 6:30 p.m and they will play till we close around 10:30p.m. And the great music isn’t just heard on stage. 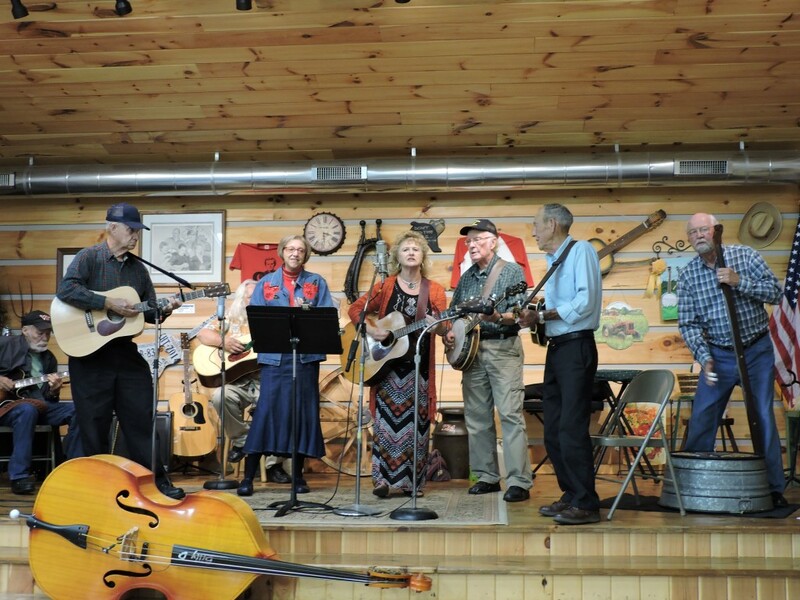 During the warmer months, the Jamboree becomes something of a miniature fiddler’s convention, with bands playing in the alleys, driveways and parking lots. The Jamboree operates on “Granny’s Rules” – no smoking, no drinking alcohol, no bad language, and no conduct unbecoming to a lady or a gentleman. It’s a great time for the whole family, and you’re likely to see kids from two to ninety-two out on our hardwood dance floor. You may even be one of them. Please take note that seating is limited and in the summer and fall months the store gets very crowded. In good weather, there is plenty of room outside to enjoy the music. If a seat is important to you please come early (general admission tickets can be purchased at 4:45pm the night of the Jamboree), or purchase a ticket for a guaranteed seat ahead of time. Tickets for reserved seating can be purchased online on each Friday night’s event page. 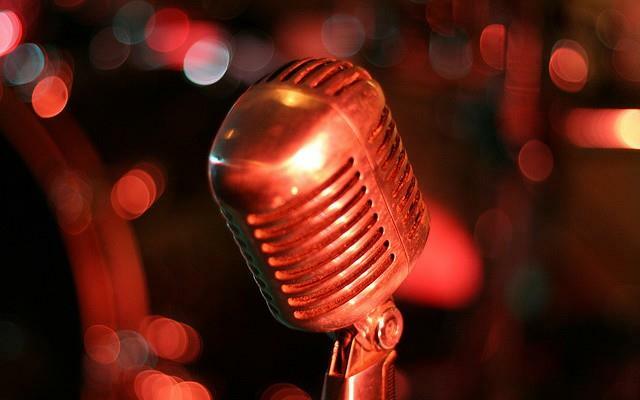 Are you a Friday Night Jamboree regular? Ask about our Friend of the Jamboree program! A $10 membership allows the bearer $5 admission into the Jamboree all year long, paying for itself in just four visits. Must be purchased at the Floyd Country Store.